One of the fun things about going to yard sales is you find things you never thought you would find. Every Friday morning, I head out filled with anticipation to find treasures. $10. Cha Ching... Of course I had to paint it because I am less shabby and more chic but how sweet.... It has been in several spots and now rests here. In addition, I found this iron fleur de lis for $1 a month ago... I don't know if it is going to stay here but love it. 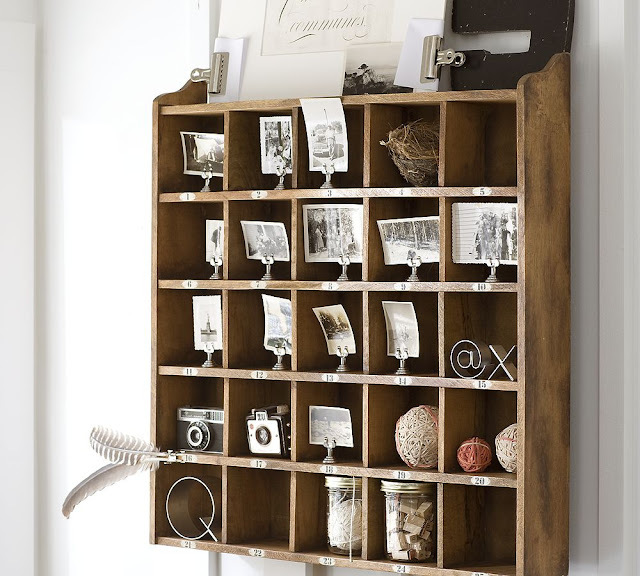 Recently, I opened a Pottery Barn catalog, and fell in love with this cubby, but had no idea what I would use it for. The very next week, I found this cubby at a yard sale.... no kidding. $5 versus the Pottery Barn cubby at $149. I have no idea what I will use it for but know that it will be filled with holiday items. I also think it needs some paint or stain. I am thinking white stain but either way.... FIVE DOLLARS who cares. It is awesome!!! AWESOME purchases you were blessed with!